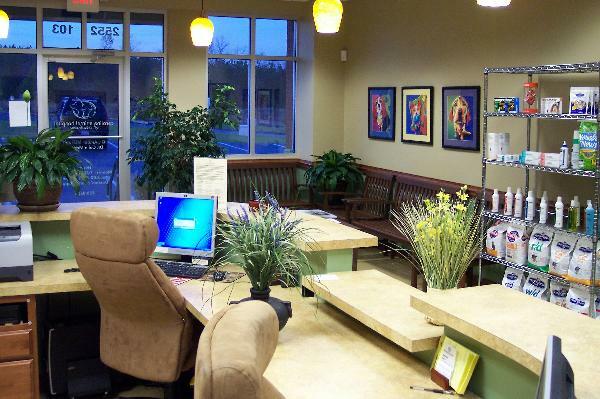 Our hospital reception lobby and waiting room is designed to be both spacious and warm. Though the hospital generally keeps on schedule, we have ample room to provide an open space to relax. 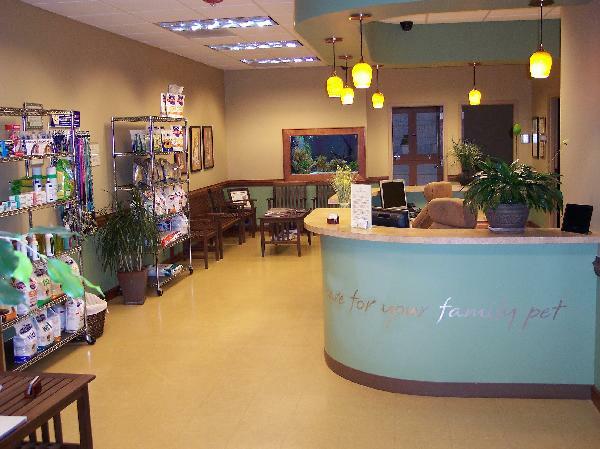 Our lobby also displays pet related products we provide for client convenience and patient comfort including Science Diet brand diet, treats, shampoos, Lupine leashes and collars. With multiple pet related magazines and books available for browsing, a large and colorful fish tank for observing our active Cichlids, and our animal oriented decor, our waiting space is designed to be both warm and inviting.